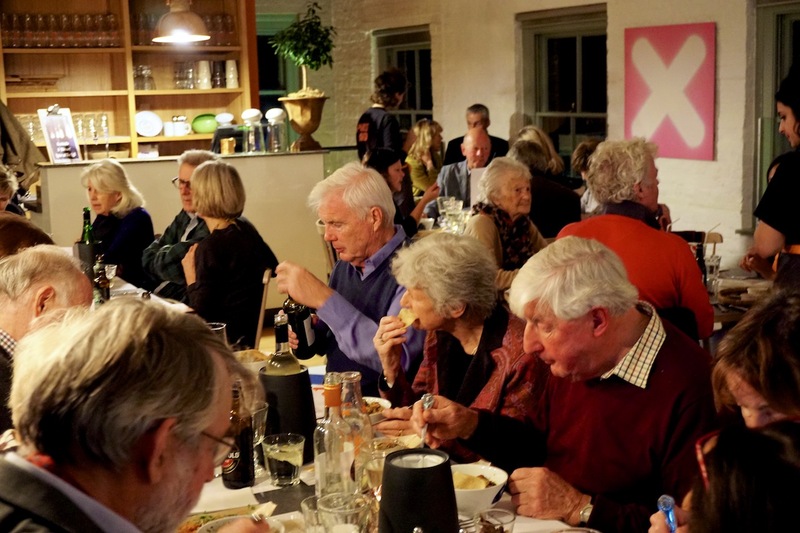 The Indonesian night last week at Sparks Yard in Arundel was a great success! It was the first time for us running a restaurant kitchen and service, and the first time The Loft hosted a guest cook. Their management team reckoned they’ve never had so many people for dinner — 59 guests altogether. 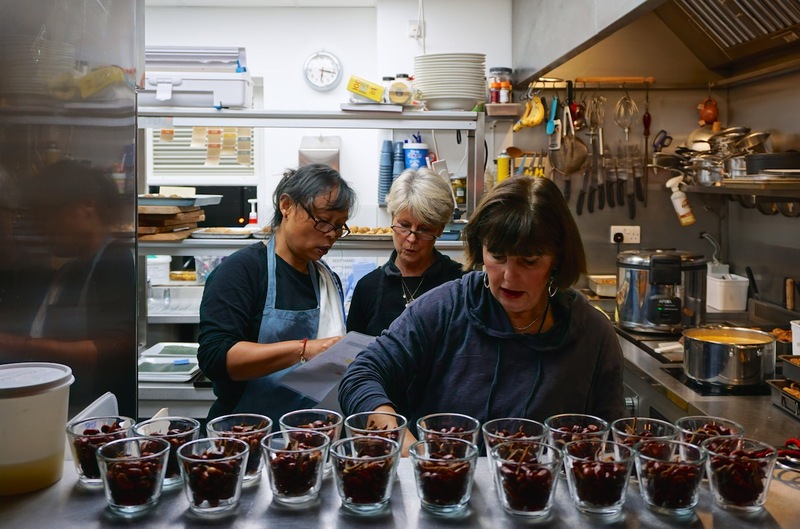 Ina was a little apprehensive before the event, having never cooked in a restaurant environment. But what she found was that serving to one table at a time, even though there were four courses, was actually rather less demanding than serving everyone at once — which is what happens at parties. A big thanks to everyone that came along — and to the hard-working waiting staff of The Loft, who played a big part in ensuring the evening ran smoothly. We can’t wait to do it again — perhaps in a venue closer to home in Haslemere. We need to find somewhere equipped as a restaurant, but that doesn’t operate every night of the week. Any suggestions welcome! Well done Ina, I hope you find a place near Haslemere. If we can make it we will…. Doing Kentmas this weekend down at Lesley’s in Devon. Then leaving for Naples, and not back until end Jan. I will be in France March and April if you want a stop-over. I think I remember you were going to service your flat around that time. All the best in the run up to Xmas. Hi Ian, thank you very much for your comment. At the moment, we have no plan to come in spring to France, as we have a new person looking after the house brilliantly! She’s done an amazing job, which means we don’t need to come down regularly. Probably the next visit will be in 2017. Anyway, have a good time in Naples. I’m sure you will like the place and all the pizzas! Thank you for including me on your email containing info on the pop-up event at Arundel . I was very disappointed not to be able to join you all – it sounded wonderful. I come from the area so I know it well and there’s nothing quite like the South Downs for tugging at my heart! You asked for potential venue ideas for further events. I believe the Old Forge in Storrington only does dinner on Thursday/Friday & Saturday evenings, though it’s a long time since I’ve been there. Please keep sending me news of other events. I hope you are all well and I wish you a very Happy Christmas.